The 2018 Apple launch is almost upon us, and as always, most of the focus and speculation has centred around the anticipated new iPhone models. There seems to be a general consensus that we can expect an iPhone XS with a 5.8-inch OLED screen, an iPhone XS Max with a record 6.5-inch OLED-screen housed in the same size body as the iPhone 8 Plus, and finally a 6.1-inch LCD model, although whether it will be called iPhone 9 or iPhone XC remains to be seen. All 3 models will utilise the new A12 chip. However, new iPhones are not the only goodies anticipated to be revealed at the Cupertino event on September 12. It seems certain that we will also see a new Apple Watch 4, with a 15% larger screen, bigger battery and some of the sort of tech seen for years now in fitness watches, such as sleep tracking and EKG functionality. The larger display is anticipated to come from a reduction in the size of the bezel, similarly to new iPhones and iPads, without making the device any larger. Apple Watch 4 is likely to come in the same 38mm and 42mm sizes as the Apple Watch 3, in GPS only or GPS plus cellular configurations. 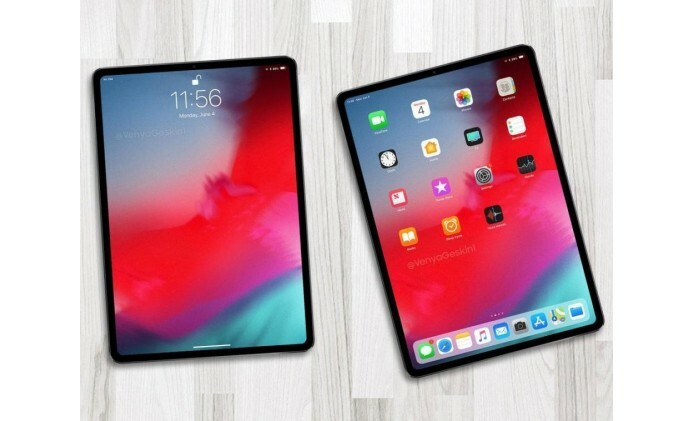 Additionally, a new iPad Pro is likely, with “leaked pictures” suggesting a an edge-to-edge display, no home button and the same facial recognition technology already in the iPhone X, FaceID, which allows the unlocking of your device simply by looking at it. Naturally Animoji and Memoji should follow. Finally, a HomePod Mini may be in the line-up, sporting a smaller formfactor and with Siri on board. Many question whether Apple can maintain the sound quality of the original HomePod alongside the size reduction, but we won’t have to wait long to find out!